Dr. Brooke Delaney grew up in New Orleans, Louisiana, where she spent her time along the Gulf Coast discovering her love for animals. Whether it be wildlife or her four legged family members, she has always treated each one as her own. Her inspiration for becoming a doctor of veterinary medicine came at a time when many animals were in dire need. During Hurricane Katrina, she volunteered to care for displaced pets. She witnessed first hand the heroic veterinarians that worked around the clock to save lives. From this moment, it has been her life’s mission to care for animals in need. 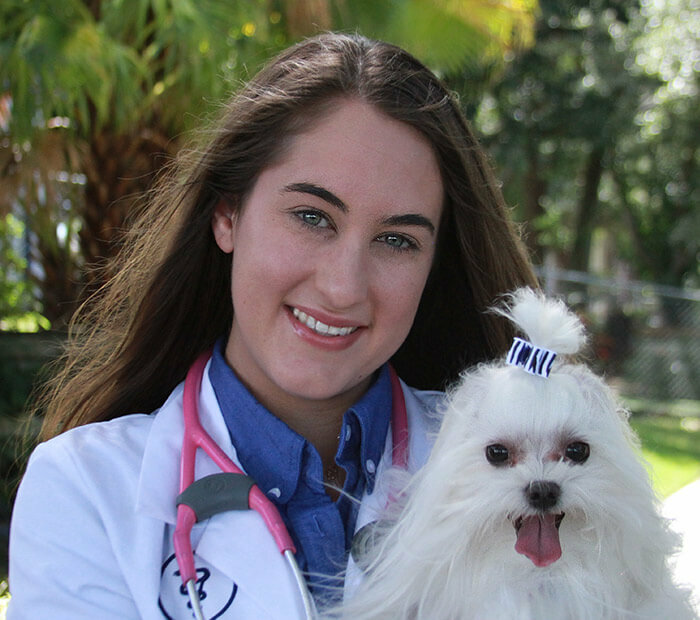 Dr. Delaney’s veterinary career started at the University of Central Florida with a Bachelors Degree in Biology. She earned her Doctorate of Veterinary Medicine from Colorado State University. She feels honored to have had the opportunity to work at the CSU Flint Animal Cancer Center and learn the latest in diagnostics and treatments for cancer patients. During her senior year of veterinary school, she was able to work at multiple metropolitan emergency hospitals outside of Colorado to focus on emergency medicine and critical care. She was also accepted to the Louisiana State University Zoological Medicine Service for her externship, where she was able to advance her skills in avian and exotic medicine. While at LSU, she worked on call at the wildlife hospital where she cared for injured and sick animals that were brought in from all over the Southeastern Louisiana region. These experiences have led her to develop special interests in oncology, internal medicine, emergency, critical care and avian/ex	otic medicine. Dr. Delaney currently resides in Winter Park. She and her husband Rhett share their home with, their maltese Wyatt, Galah cockatoo Davy Jones, and cockatiel Charly. In her free time, she loves being near the ocean whether it be snorkeling, scuba diving, boating, fishing, and beach naps.